On 14 March 2019 at Varna University of Management we had the pleasure to meet representatives from our partner university in Uzbekistan, Tashkent State University of Economics (TSUE) and the Ministry of Higher and Secondary Specialized Education of Uzbekistan. The partnership between Varna University of Management and Tashkent State University of Economics gives the opportunity to students in both countries to spend a semester at the partner university. This academic year in total 19 students from TSUE spent or are currently spending a semester in Bulgaria at VUM. During yesterday’s visit our guests met also with the group of students from TSUE now present at VUM and gathered their impressions about our university, what it is to live and study here in the multicultural environment at VUM and about Bulgarian culture in general. 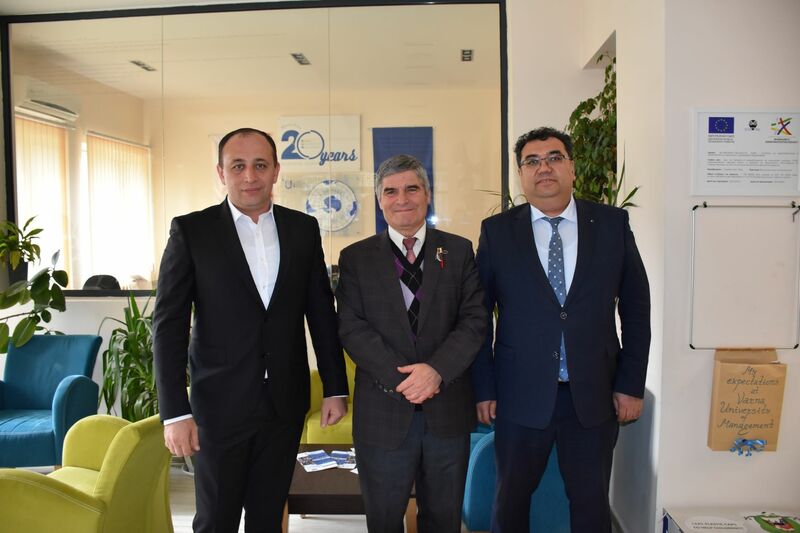 During the meeting with the Rector of VUM additional cooperation opportunities were discussed with the aim to satisfy the interest of the students from TSUE to study and pursue a degree from VUM, Bulgaria. We are looking forward for continuous cooperation with TSUE!